BAGUIO CITY – Mayor Mauricio G. Domogan requested the leadership of the Philippine National Police (PNP) to complete the five names of qualified senior police officers who are eligible for appointment as the next City Director of the Baguio City Police Office (BCPO) after two of the police officers who were included in the initial list reportedly withdrew from contention for the said post. 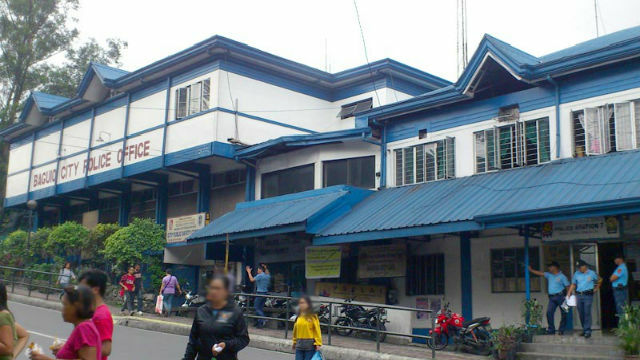 The local chief executive claimed that when the 5 police officers in the initial list were contacted to submit the required documents to the local screening committee and make themselves available for a rigid interview, one of them already begged of as he was due for appointment as chief of staff of the Police Regional Office (PRO) in the Cordillera while another police officer withdrew from contention because he is awaiting a position in the general headquarters which had been promised him. “We have no recourse but to return the shortlist to the PNP so that the five names of qualified police officers will be completed considering the withdrawal of the two prospective candidates. We hope that the shortlist could be made available the soonest possible time for us to select the next BCPO chief,” Domogan stressed. As soon as the shortlist will be made available to the local government, he claimed that the local screening committee will be convened to conduct the screening of the applicants and that the results of the screening will be the one that will be recommended for appointment to the PNP as BCPO chief. Included in the shortlist that was transmitted to the local government by PRO-COR regional director Chief Superintendent Rolando Z. Nana are Ifugao Provincial Police Office officer-in-charge Senior Superintendent David K. Peredo, Senior Superintendent Agustin Juan Tello, Senior Superintendent Giovani C. Maines, PRO-COR regional intelligence chief Senior Superintendent Elmer Ragay and former BCPO City Director Senior superintendent George Daskeo. Among the documents that should be submitted by the applicants to the local screening committee include their performance ratings for two successive semesters preceding their being included in the shortlist and a presentation of their overall programs for the BCPO. Domogan said that the recommendation of the local screening committee will be immediately forwarded to the PRO-COR for the issuance of the appropriate designation to the selected police officers the next BCPO chief. Under the provisions of the law that created the PNP, local chief executives are empowered to select from a list of qualified senior police officers the one that will head the local police office in his or her area of jurisdiction. The 2-year tour of duty of BCPO City Director Ramil L. Saculles already lapsed as of the end of last month but he is holding his position on a holdover capacity while awaiting the appointment of his successor who will come from the shortlist that will be re-submitted to the local government by higher authorities.